Cramer & Anderson is joining forces with Connecticut Community Foundation to offer an Oct. 25 seminar on estate planning and elder law in the 21st century. The free seminar, featuring complimentary light refreshments for guests, will be held from 6 to 8 p.m. at the Southbury Public Library. The library is located at 100 Poverty Rd. Cramer & Anderson Partner Joshua Weinshank, a 2017 Connecticut Law Tribune New Leader in the Law award winner, will lead the seminar in conjunction with Heidi Green, Director of Development for Connecticut Community Foundation. · Protecting Assets From Medicaid Spend Down. 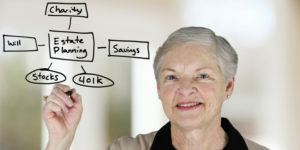 Questions will be welcomed on any issue connected with estate planning and elder law. Those planning to attend are asked to register in advance through the event page. Register to attend quickly and easily here. Anyone seeking additional information may email Attorney Weinshank at jweinshank@crameranderson.com, or contact Carol Buckheit, Director of Communications at Connecticut Community Foundation, by email at CBuckheit@conncf.org, or by phone at 203.753.1315, ext. 107. Cramer & Anderson has a team of more than 25 attorneys delivering excellent, cost-effective services. The firm has a hometown sensibility, a strong regional presence, and a worldly outlook in Practice Areas extending from Estate Planning, Elder Law, Estate Administration and Personal Injury to Real Estate, and much more. 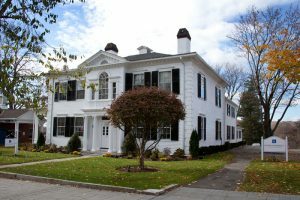 In addition to the flagship office in New Milford, the firm has offices Danbury, Litchfield, Kent, and Washington Depot, as well as a new office in Ridgefield, serving Fairfield County. To learn more, see the crameranderson.com website or call the New Milford office at (860) 355-2631. Established in 1923, Connecticut Community Foundation was created by and for the people of Greater Waterbury and the Litchfield Hills. While serving this 21-town region, the Foundation provides leadership in addressing the community’s critical issues, strengthens local nonprofit organizations through grants and technical assistance programs, and works with individuals, families and corporations to steward charitable and scholarship funds.